This year’s nominees reflect the high quality and diversity of independent family music making right now. The 60th GRAMMY Awards will be held in New York City, January 28, 2018. The 60th GRAMMY Awards celebration will be held in New York City on Sunday, January 28th, and award-winners in the children’s category will be announced at the pre-telecast Premiere Ceremony before the CBS Television broadcast. 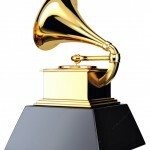 For a complete list of nominees, go to: www.grammy.com. Most of the children’s album nominees will perform at a benefit concert for Education Through Music, at Symphony Space on Saturday, January 27. Tickets to the concert are available now.